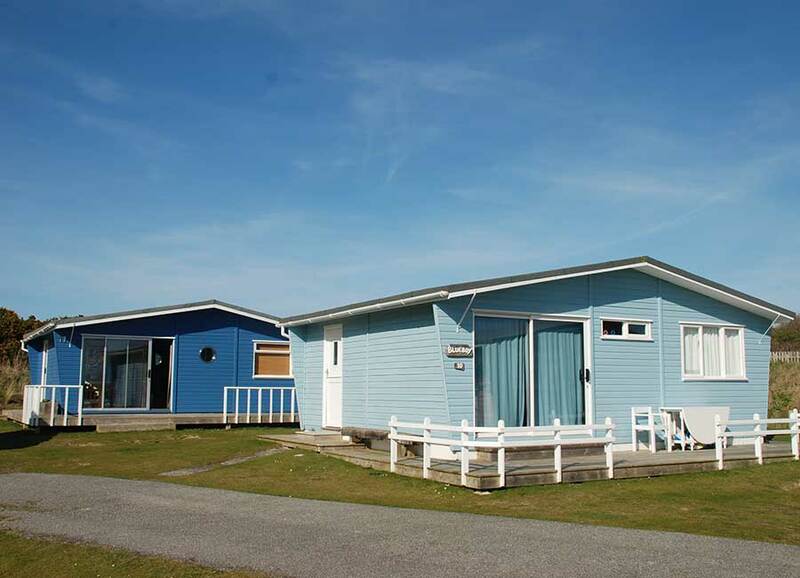 These are three traditional 1960's wooden chalets nestling in the Gwithian dunes. 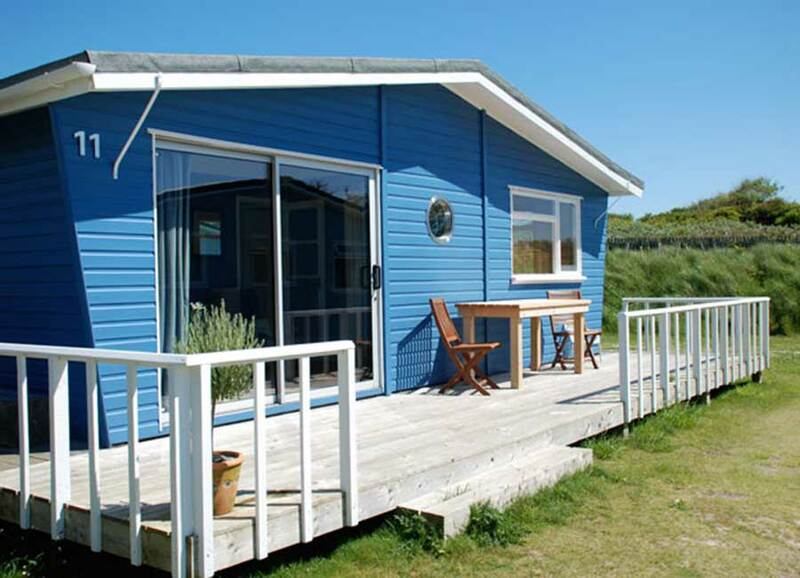 Little Blue House, Blue Boy and Surfside are owned by three individual families who grouped together to form "Three Shades of Blue". 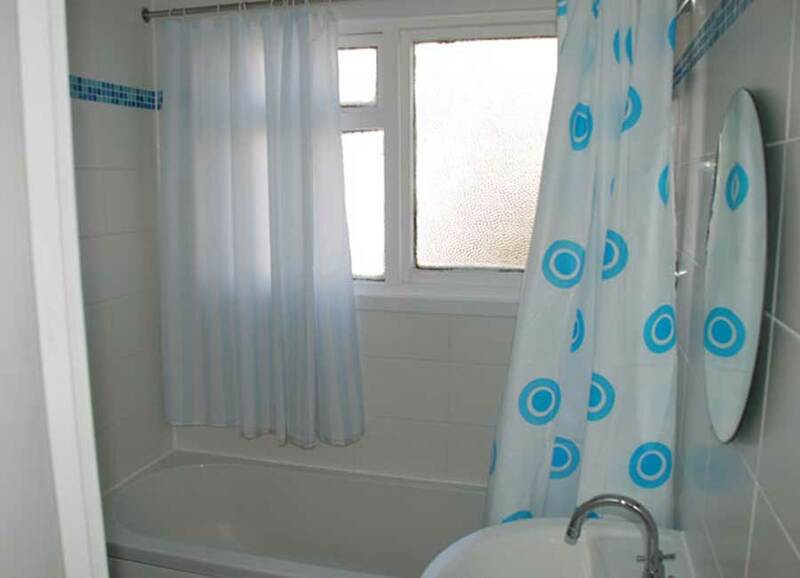 Each chalet has two bedrooms, a bathroom/WC and open plan kitchen and living area. They sleep six comfortably and are equipped with most modern coveniences. Each has its own unique style which can be seen in the gallery. 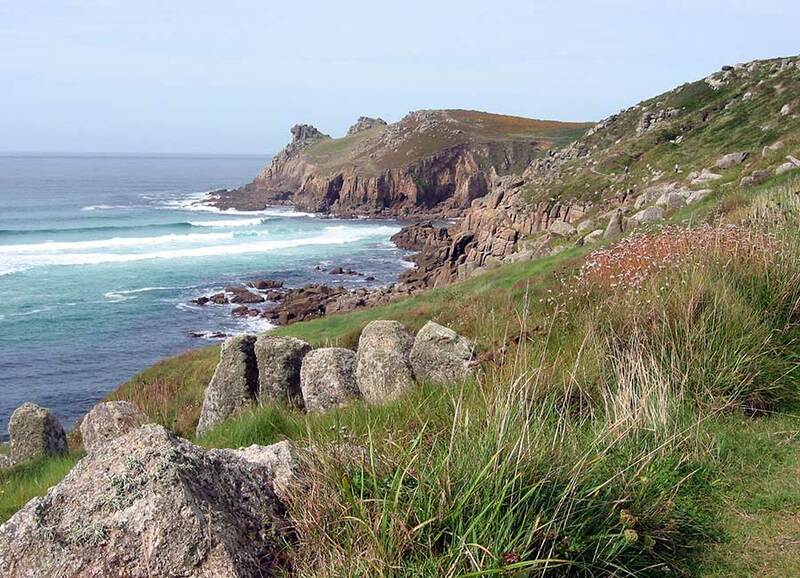 The chalet site is sheltered from much of the wind by dunes which overlook three miles of sandy beach forming part of St Ives Bay. 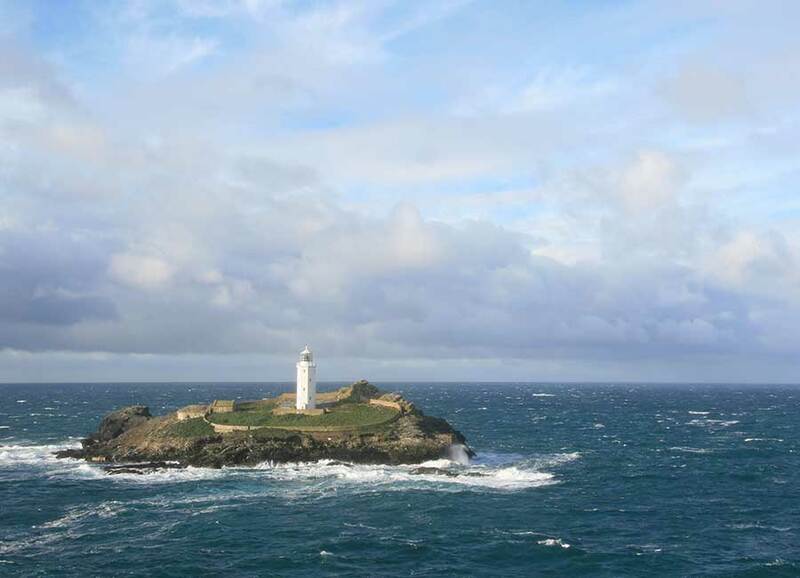 The beaches run from Godrevy Lighthouse in the East, made famous by Virginia Woolfe's novel "To the Lighthouse", all the way to the wild birdlife haven of Hayle estuary in the West. 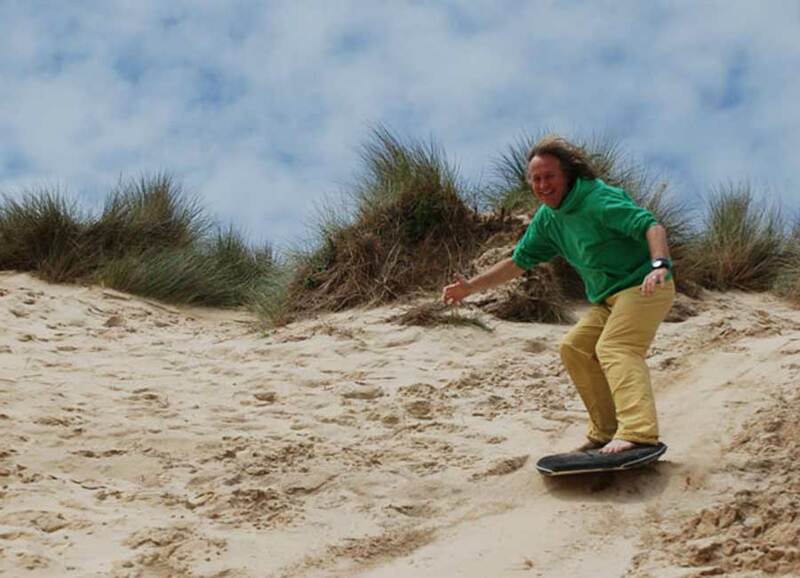 A fifteen minute walk through the dunes brings you to Gwithian beach, one of West Cornwall's best surfing beaches. With lifeguards and surf school it's a great place to brave the sea for accomplished surfers and beginners alike. 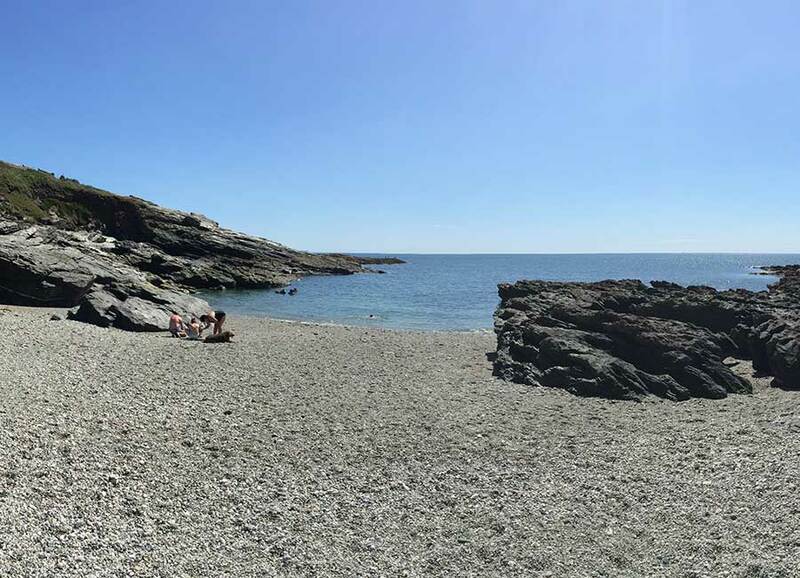 The large wide beaches and rockpools make it a safe place for children and the more adventurous might like to jump in the "sheep dip", a naturally occurring deep rock pool. The dunes offer hundreds of secluded pockets of sheltered sand where you can while away the hours without ever seeing another soul. 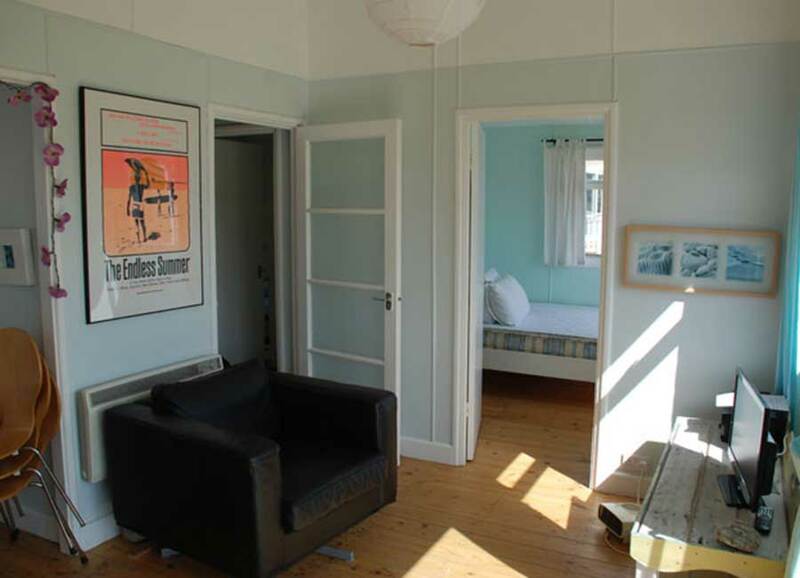 Over the years Three Shades of Blue chalets have featured in the Sunday Time Travel magazine and the Guardian Travel section. Each chalet is now booked individually by contacting the owners directly at the emails and contact numbers given below. Please note that any chalets booked through the HomeAway website will incur an additional booking fee which is out of our control. Bookings made directly through the owner using bank transfer are charged as per the price list. 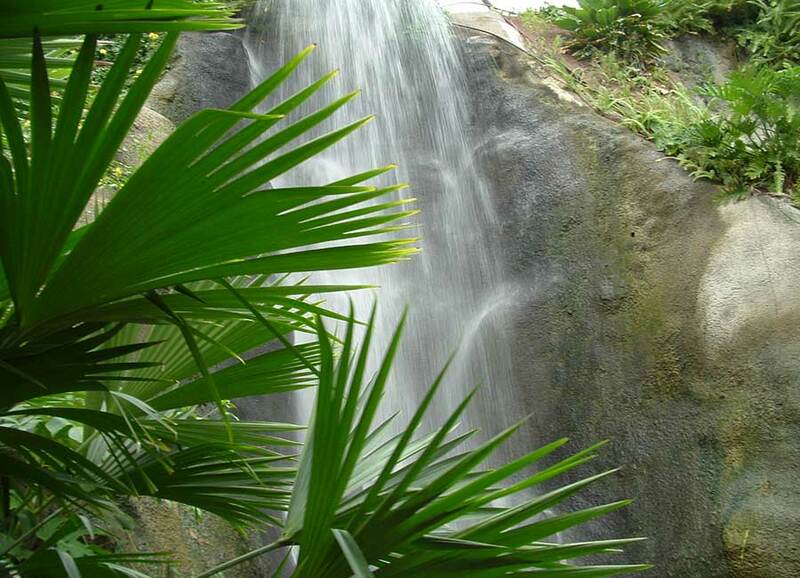 All bookings run from Saturday to Saturday although exceptions may be made in the low season. 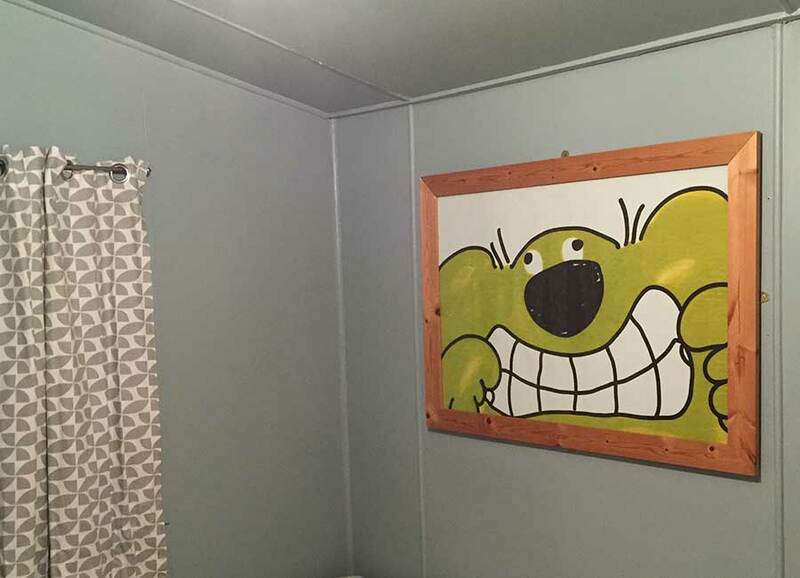 The site is very family friendly and only has thirty chalets. 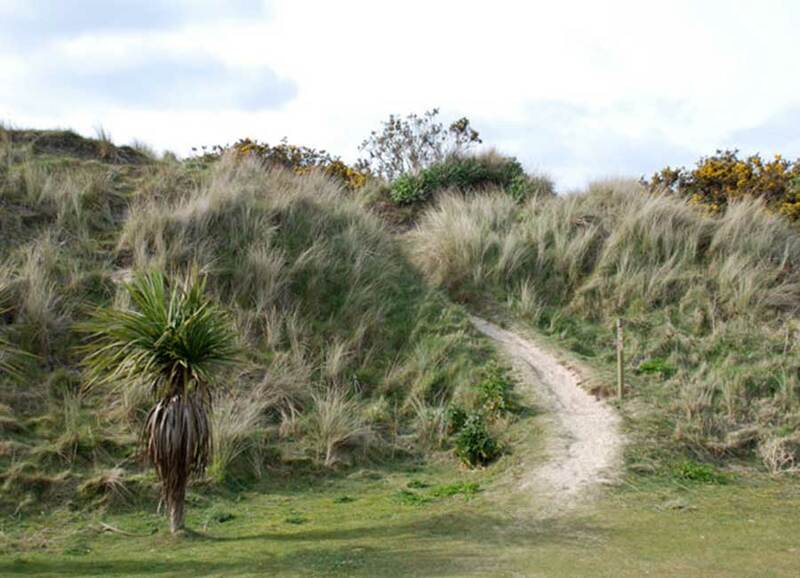 The dunes offer endless opportunities for children and the occasional adult to build, climb and slide down the steep sided pockets of sand. The nearest town, Hayle offers a variety of restaurants and a number of supermarkets for food shopping. 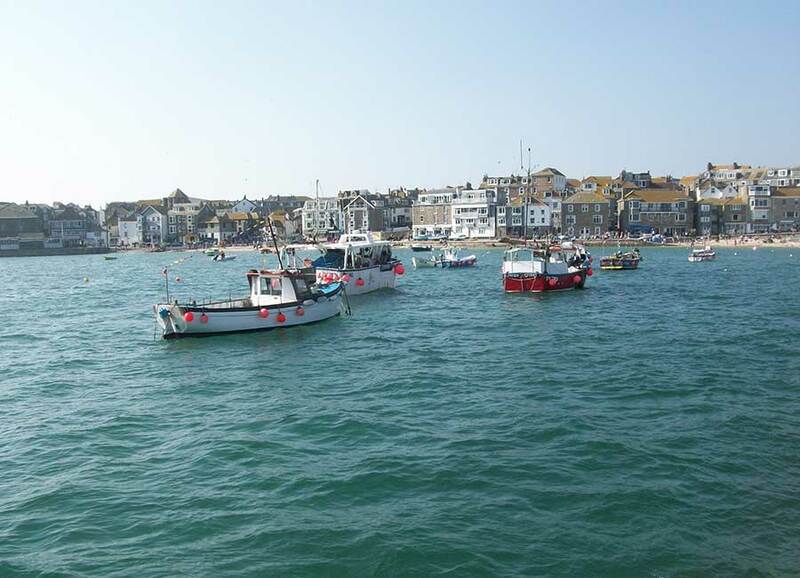 The picturesque resort of St Ives is a short drive or train ride away. 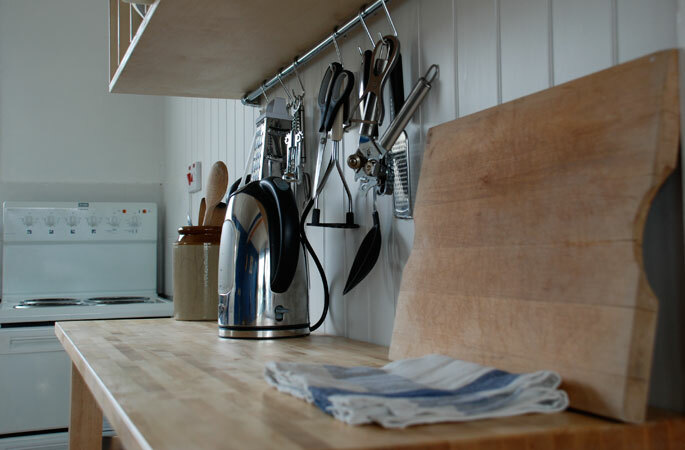 The chalets are well equipped with all the essentials for a relaxed holiday. There's no wifi in the chalets though some may see this as a blessing. If you or the kids get desperate, you can access the Caravan Club wifi from The Little Blue House and there is a connection to be found in the caravan park next door. 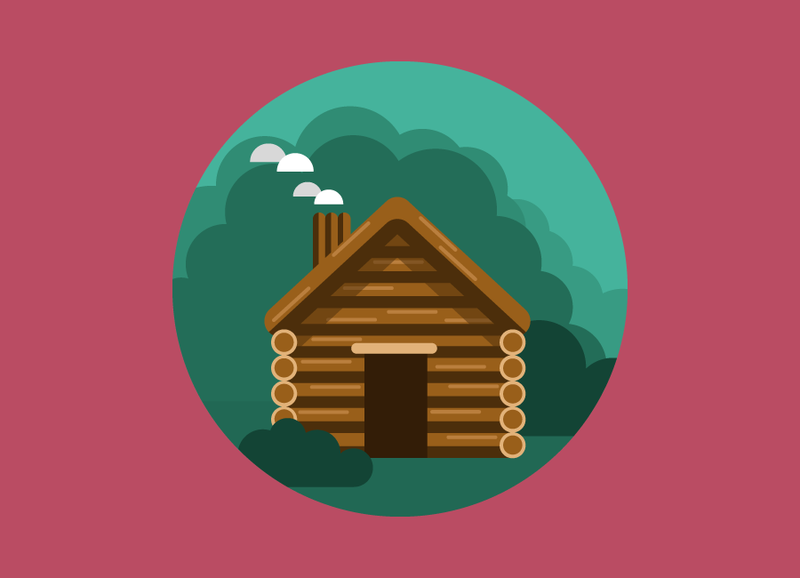 To check for availability of the chalets, send an email to the relevant chalet owner or fill in the contact form at the bottom of this site. We'll normally get back to you within 24 hours. If you decide to book we will initially take a deposit of 50% of the total amount and you will be asked to send us the balance two weeks before your holiday starts. We'll then send you the details regarding access etc. Once you're happy and have agreed a date, download our booking form, complete it and send it back to us. Owned by Paul and Jane, this chalet has books at its heart. Get away from the bustle of the city and browse through the collections of short stories and novels on the bookshelves. There's no wi-fi here (but if you're desperate you can access the Camping Club wi-fi for a small fee). 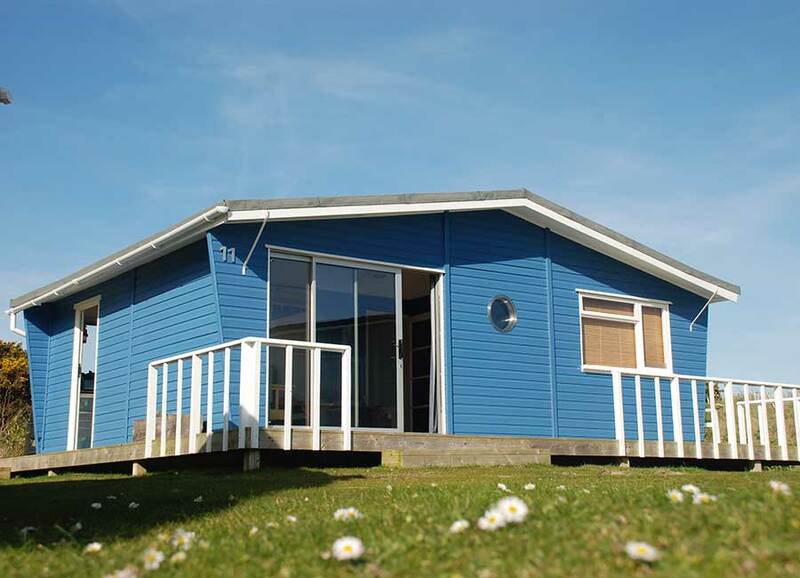 The chalet has two bedrooms, one double and one with a small double and two bunks. The kitchen has a cooker, microwave and fridge and enough utensils to see you through your holiday. There are some great restaurants and pubs nearby if cooking doesn't appeal. The chalet is heated and insulated with a TV and DVD player for the odd rainy day. Owned by Mark and Sally, this chalet offers a feast of curiosities. Shelves of obscure collected items and renovated with recycled materials it's an amazing experience. A unique style which is full of warmth and humour. There's no wi-fi here but many see this as an opportunity to escape from the connected world. 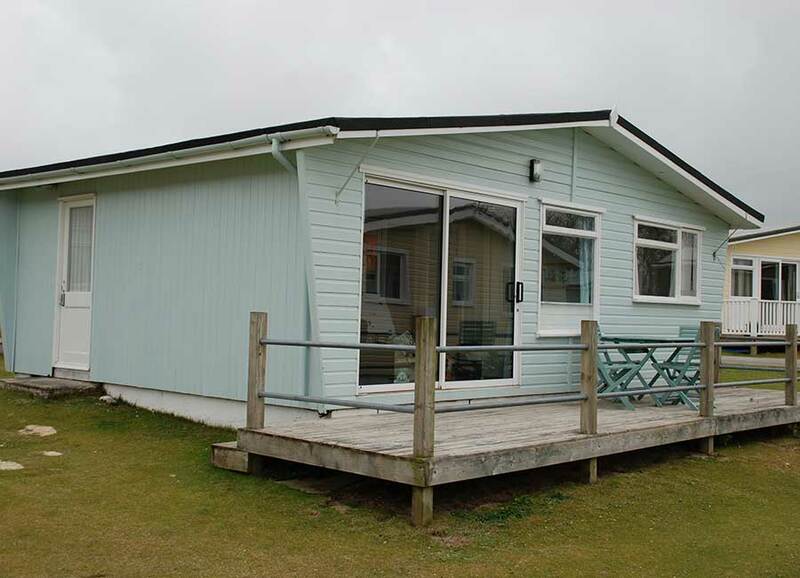 The chalet has two bedrooms, one double and one with a small double and two bunks. 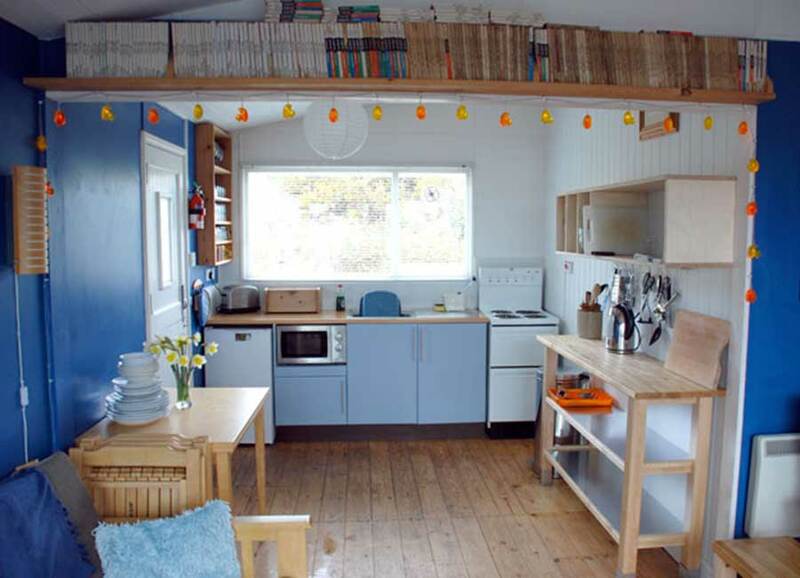 The kitchen has a cooker, microwave and fridge and enough utensils to see you through your holiday. There are some great restaurants and pubs nearby if cooking doesn't appeal. The chalet is heated and insulated with a TV and DVD player for the odd rainy day. 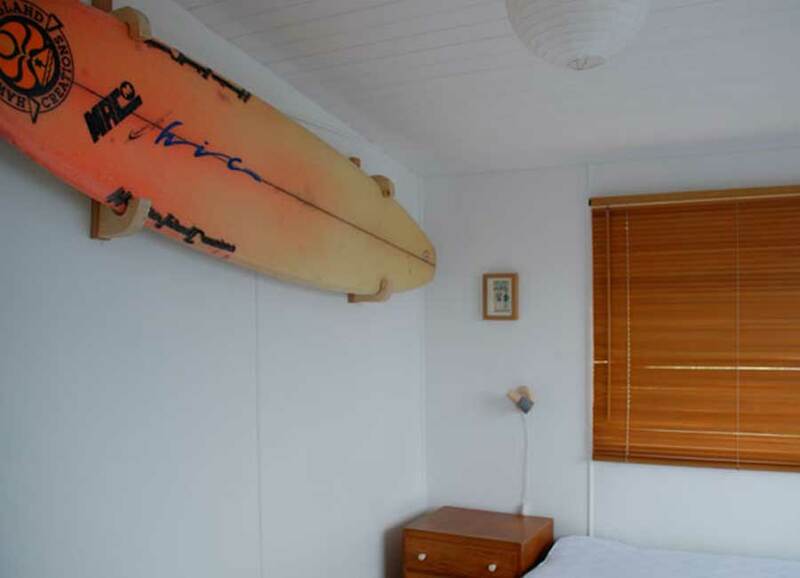 This chalet uses an electricty key which can be "charged up" in the local co-op in Hayle. Owned by Kev and Lorraine, this chalet is a minimalist retreat. It's uncluttered style offers space to breathe. There's no wi-fi here but many see this as an opportunity to escape from the connected world. 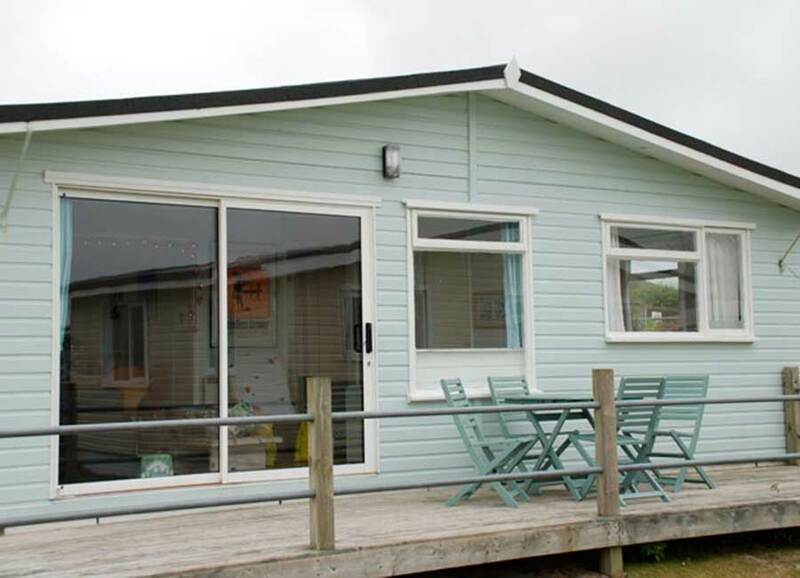 The chalet has two bedrooms, one double and one with a small double and two bunks. 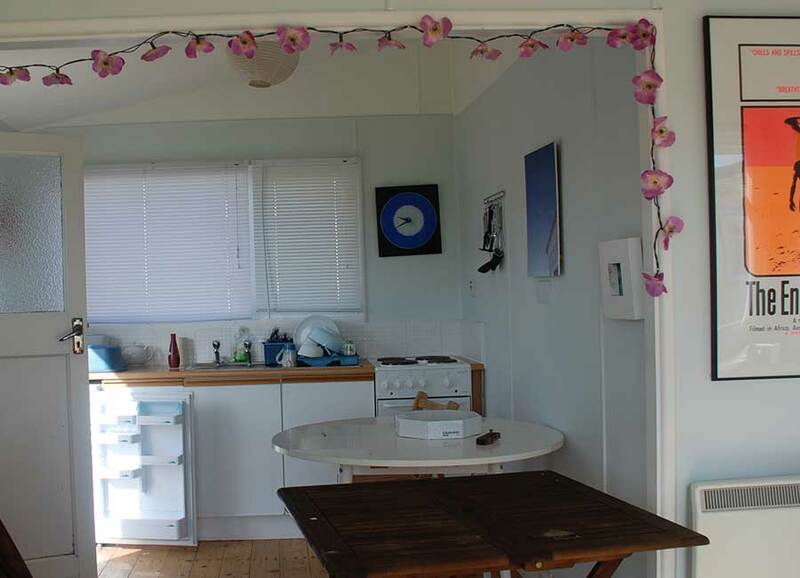 The kitchen has a cooker, microwave and fridge and enough utensils to see you through your holiday. There are some great restaurants and pubs nearby if cooking doesn't appeal. The chalet is heated and insulated with a TV and DVD player for the odd rainy day. There are 30 chalets on this family run site. All identical when they were built, they now show a huge diversity of styles and colours as each has been uniquely renovated by their owners. 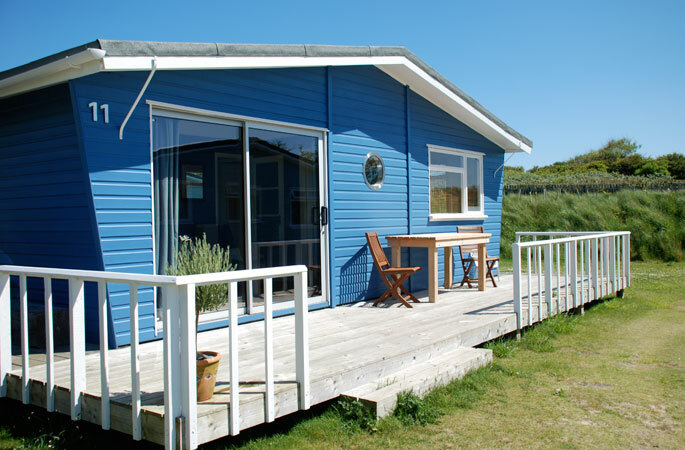 Chalets are naturally sheltered by the dunes to the north. These dunes or towans are a site of Special Scientific Interest and contain a multitude of paths which criss cross down to the beaches. 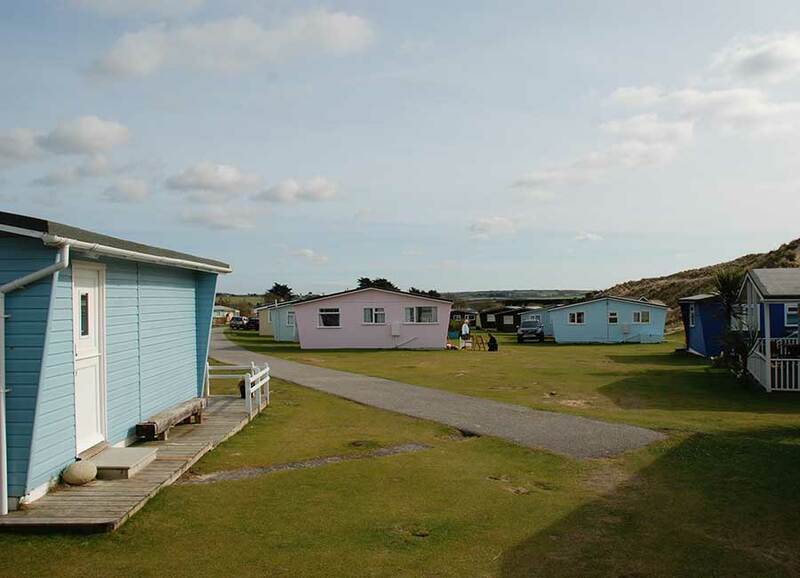 Views of Hayle Estuary, Godrevy Lighthouse and St. Ives can be seen by a quick climb up the dunes to the side of the chalet site. Many holidaymakers simply take the 15 minute walk through the dunes with boards and wetsuits and for the less adventurous there is the Jam Pot or the Sunset Surf Cafe with views over to Godrevy lighthouse. 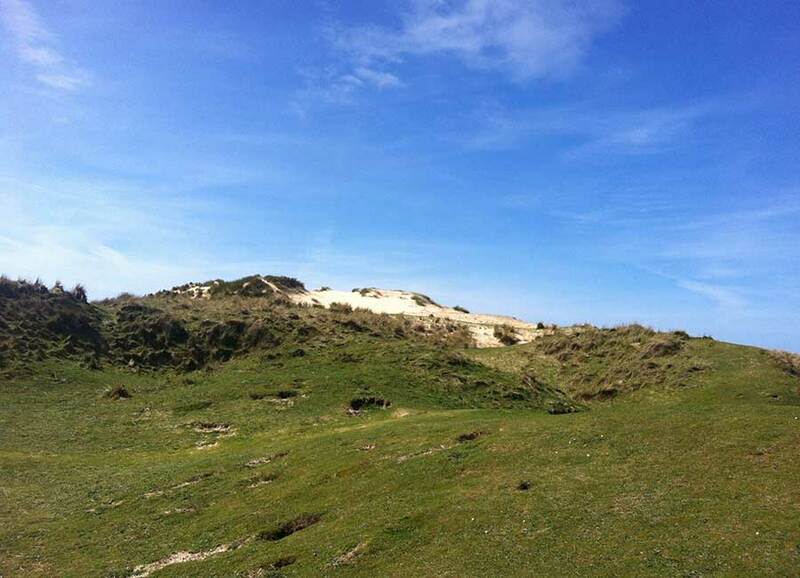 There is a large open area in the centre of the site where many of the younger children congregate safely and the wide sandy pockets of the dunes offer a space which is easily monitored by parents. 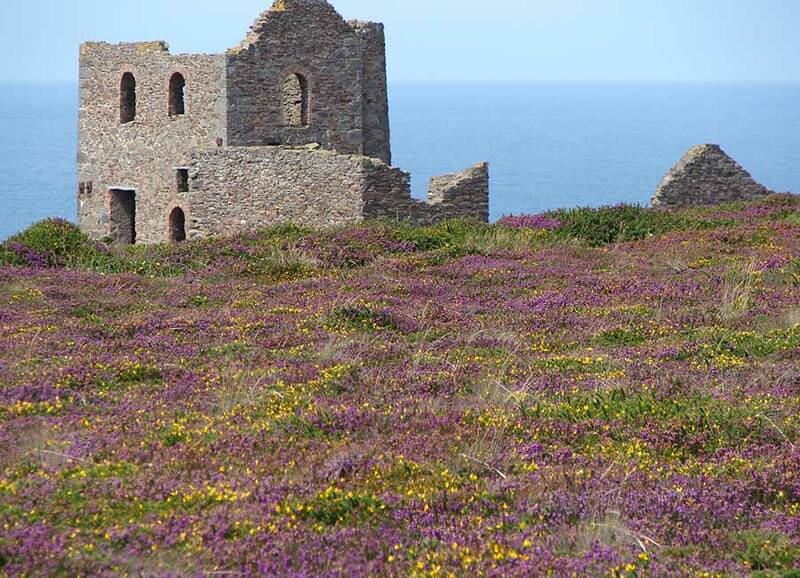 Cornwall offers a huge variety of experiences. 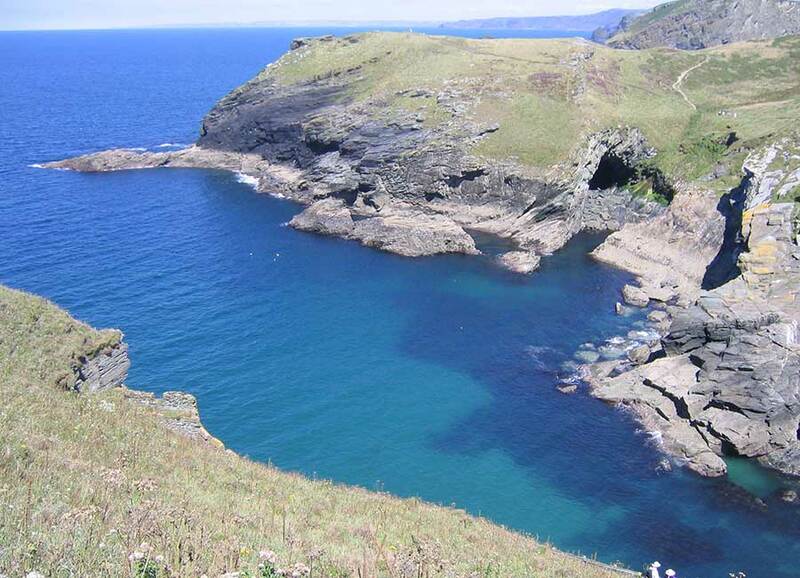 From the chalets many of Cornwall's most famous locations are within easy striking distance. Lands End, The Eden Project and St Ives to name but a few. Some of the links below should give you some ideas but the best days are often those where you discover something unexpected just by exploring.